One of my favorite snack foods to eat is chips and salsa. 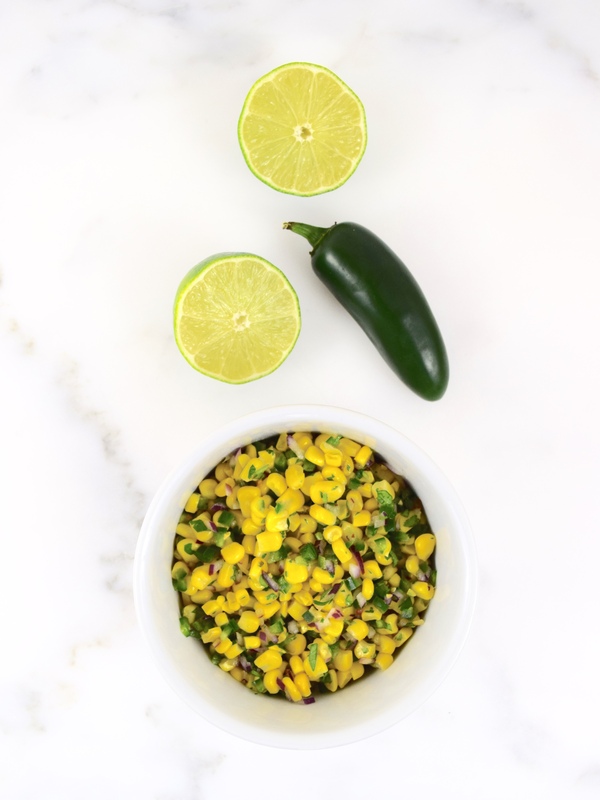 I have never made a corn salsa before, but I always have it added to my salads at Chipotle. After doing my research on the internet, I found an appetizing recipe on the Food Network Kitchen website. At Trader Joe’s, I was able to get all my ingredients, except for the poblano chile pepper. Since the dish already had a jalapeno pepper in it, I decided to wait to the until the end to see if the salsa needed a little more “heat.” That’s when I added a pinch of red pepper flakes. 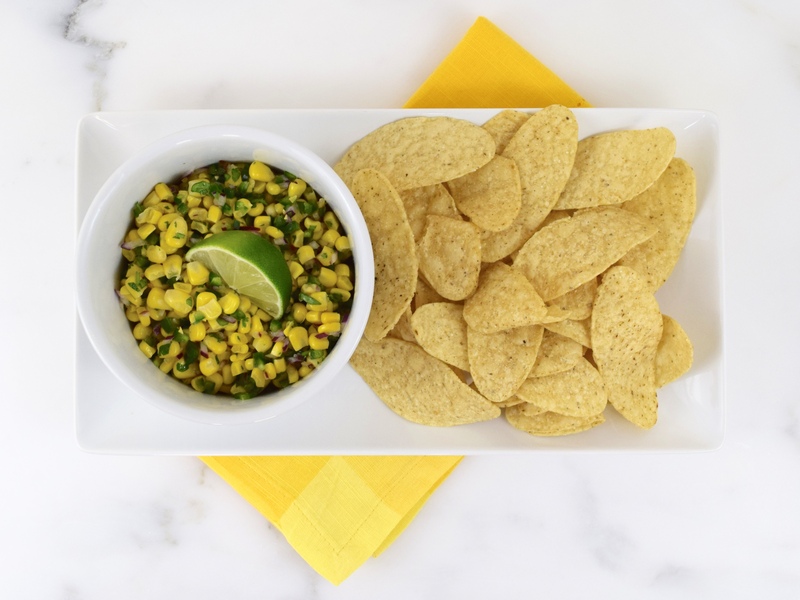 The only other changes I made to the recipe were using less olive oil and omitting the sugar—my frozen corn was nice and sweet! My only regret about preparing this dish was I didn’t make more! 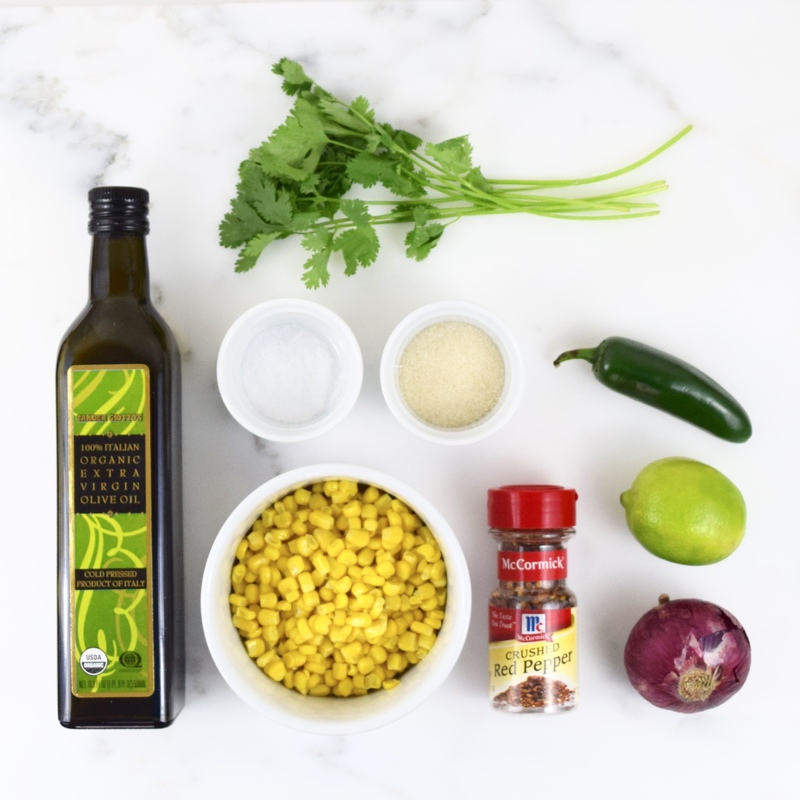 In a medium bowl, add corn, jalapeno, cilantro and red onion. Stir in oil, lime juice, sugar (optional) and salt. Finally, add pinch of red pepper flakes. This looks so good! Great pictures!